F(l)avorite Things are posts where we talk about, well, our favorite, flavorful things. 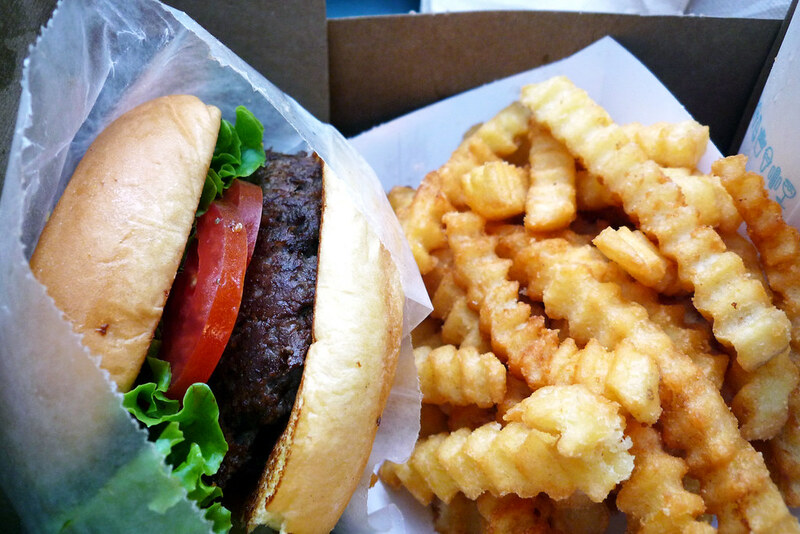 Here, Gary talks about one meal that’s become ol’ reliable – a burger and fries from Shake Shack. 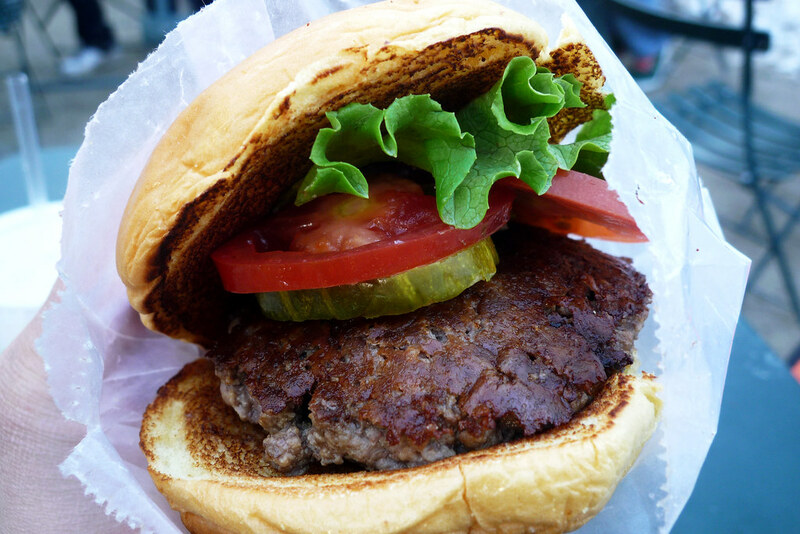 From the moment I ate my first burger at Shake Shack, no burger in its classification – classic American fast food style and size – has come close to overtaking the throne. The burger that once held that distinction for me was the one at In-N-Out but this past summer’s trip to their San Francisco location just demonstrated how poorly their burger holds up to that of the Shack’s. So why do I love this burger so much? Simple, really – salt, plenty of salt. Sure, the burger is an excellent custom blend of beef which is already packed with flavor but plenty of salt just takes the burger to another level. And the salt sits on the crusty, almost crunchy exterior, another important characteristic that just makes the burger so amazing. Put the meat inside a potato roll (an excellent choice), add some green-leaf lettuce and plum tomatoes and it’s just the most awesome burger I’ve had. And the fries? Well, they’re not the best fries you’ll ever have. I think they still don’t make their own fries which is really a shame if that’s true. But if you had the mediocre fries they served when they first opened in 2004, they’ve definitely moved to a better supply since. Frying them up right certainly helps because they come out fried to a perfect crunch on the outside while staying potato-like inside. Of course, it also helps that they’re well-seasoned with plenty of salt. 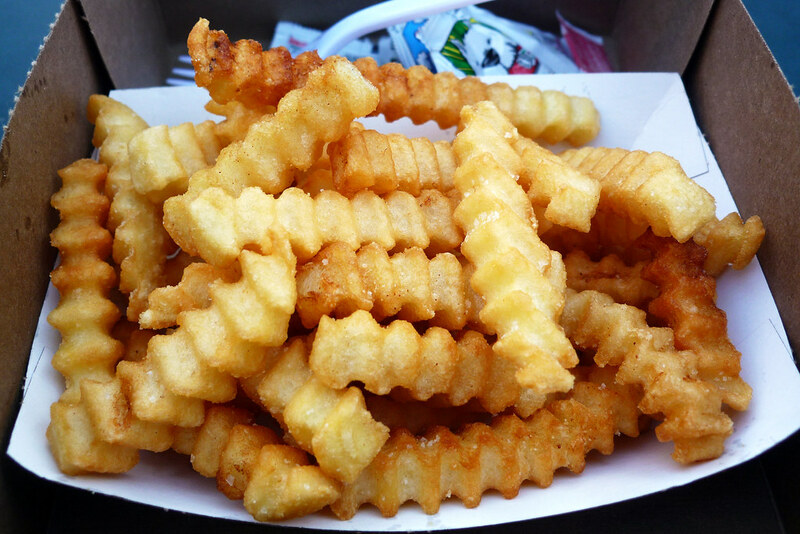 Properly salted fries? When you think about it, that goes just right with a nicely salted burger. 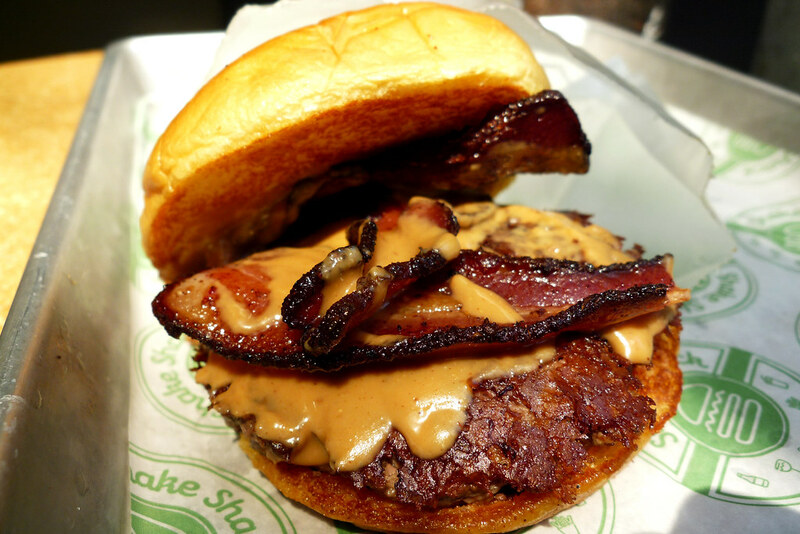 As an aside, this burger is so good that the addition of bacon and peanut butter is actually a net loss. Bacon not make something better? Insane, right? The peanut butter part might make sense but it’s true – the bacon kinda detracts from the burger. Its awesomeness really does lie in its simplicity. had my first Shack Burger in 9 months last night. Forgot how amazing it was. Sort of like re-discovering the Beatles. @dave g. Until I went back a week or so ago to get pictures for this post, it’d been over two months since my last Shake Shack burger. I’d forgotten how awesome it was. So good that I went back NYE, after your party to ring in the new year the right way!